The KEY2 includes an ambient display, which briefly turns on the screen when new emails, messages, or BBMs arrive. 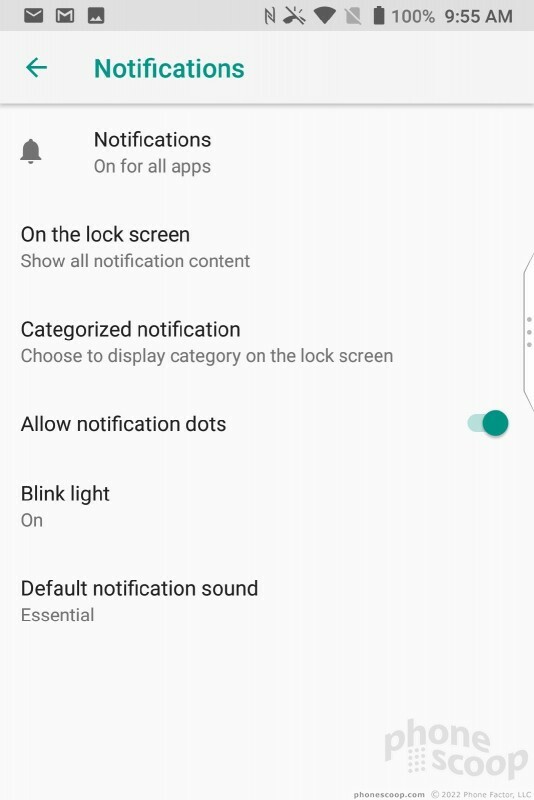 You can double tap the display to recall the notification screen any time. The phone also includes BlackBerry's customizable, blinking LED, which can be used in conjunction with, or in lieu of, the ambient display. 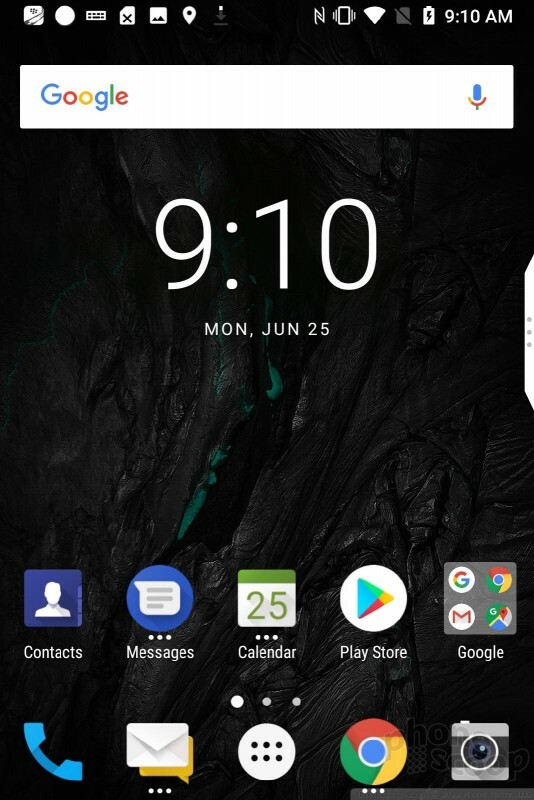 When you press the screen lock button, the screen wakes fully and shows much the same information, with the wallpaper in the background. The KEY2 will let you open the Quick Settings shade without requiring your passcode, and of course you can access the camera and Google Assistant thanks to shortcuts in the bottom corners. 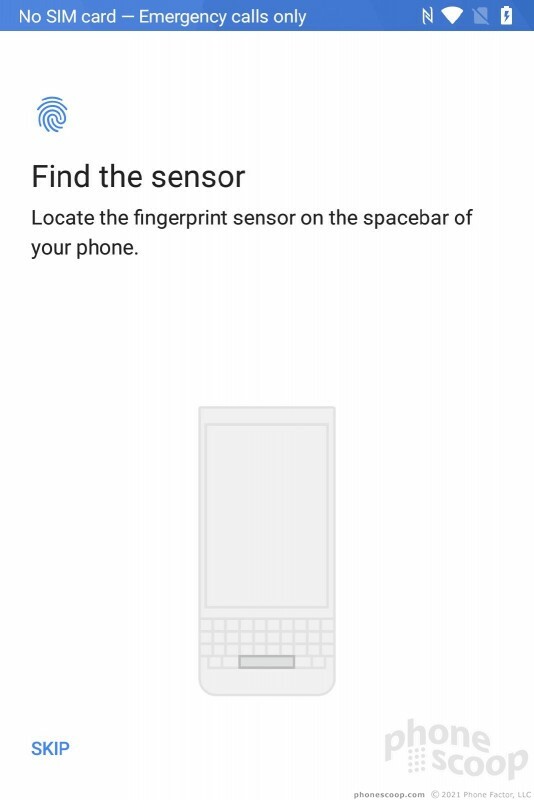 The KEY2 includes a fingerprint reader in the space bar of the keyboard. It's as easy to set up as any other fingerprint reader. I found it to be accurate and speedy. 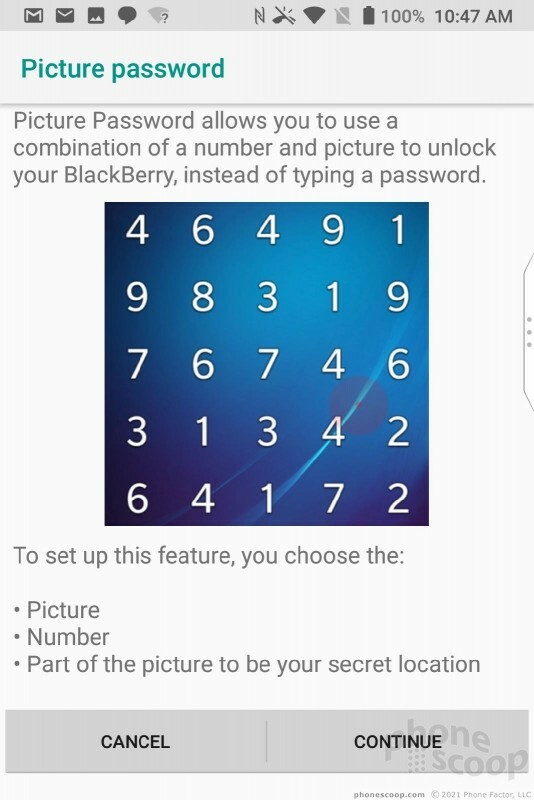 BlackBerry knows that face recognition is less secure than the fingerprint, so there's no Face ID aboard. 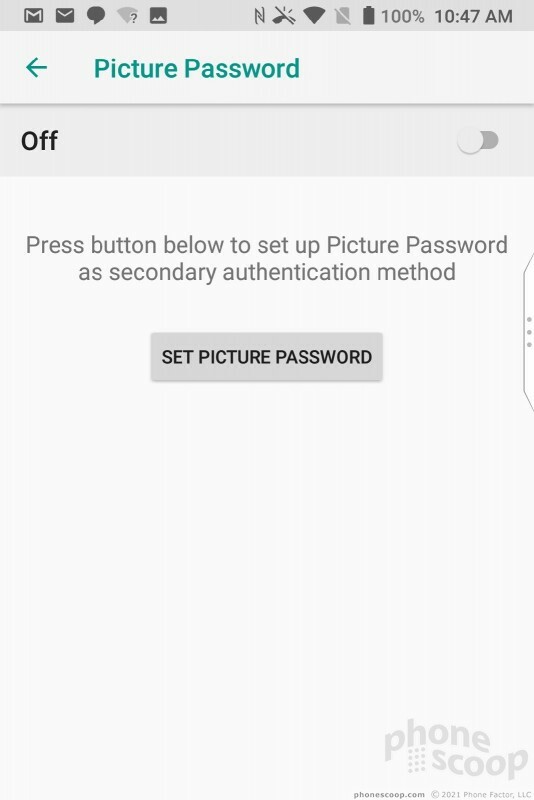 If you're looking for an alternative to the fingerprint reader, the KEY2 does include an interesting secondary security tool called Picture Password. 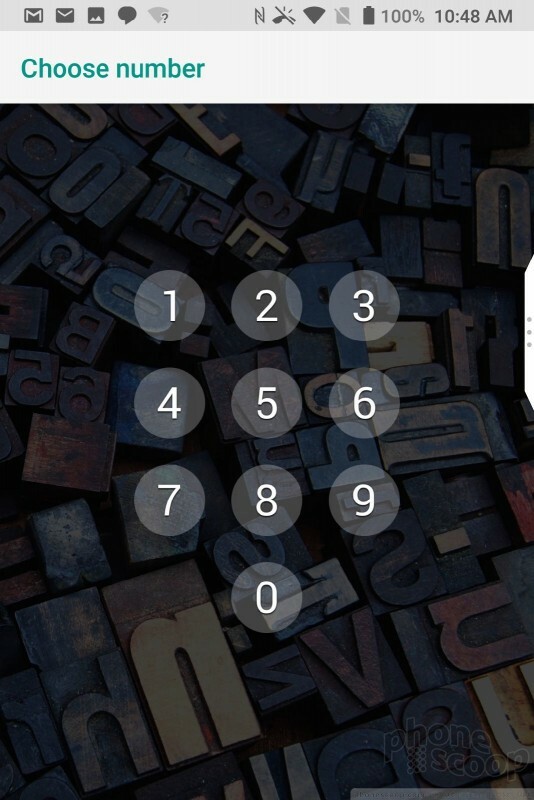 WIth this security method you select an image and a number that serve as your password. 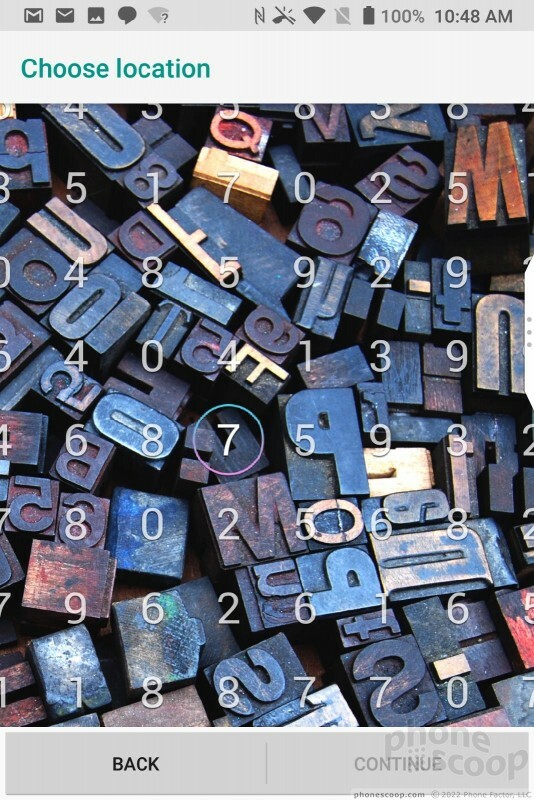 The KEY2 displays a grid of numbers over a picture and you align your number with a specific spot on the picture. It's easy to set up and use, but the fingerprint reader is easily the quickest way to unlock the phone. The KEY2 runs a build of Android 8.1 Oreo that looks like standard Google fare, though BlackBerry's software customizations are sprinkled throughout. 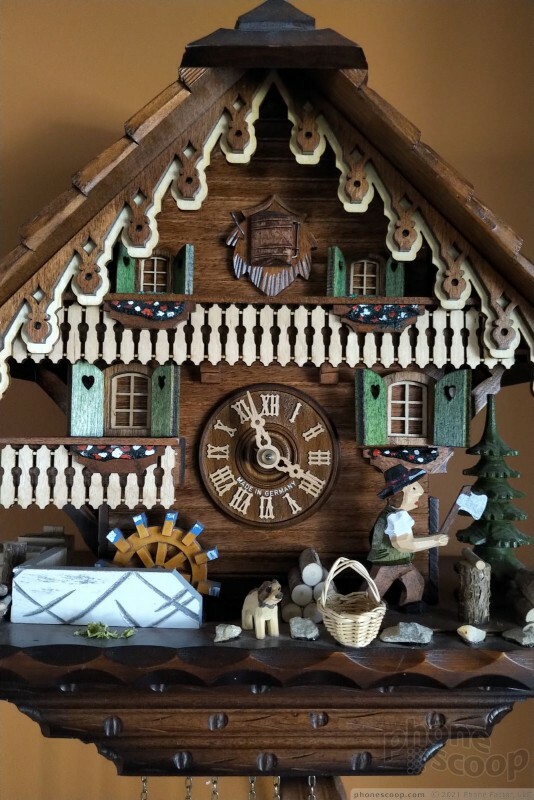 The basic home screen experience is hardly different from that of a Pixel phone. 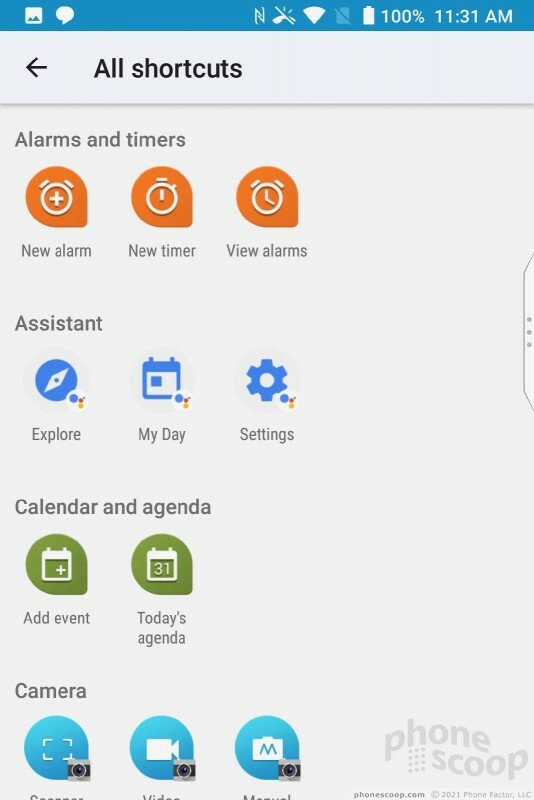 The home screen panels, app drawer, Quick Settings panel, and full system settings menus are completely stock Android. BlackBerry's software focuses on productivity and security. It's presented in such a way that's easy to completely ignore if you're not interested in what it offers. 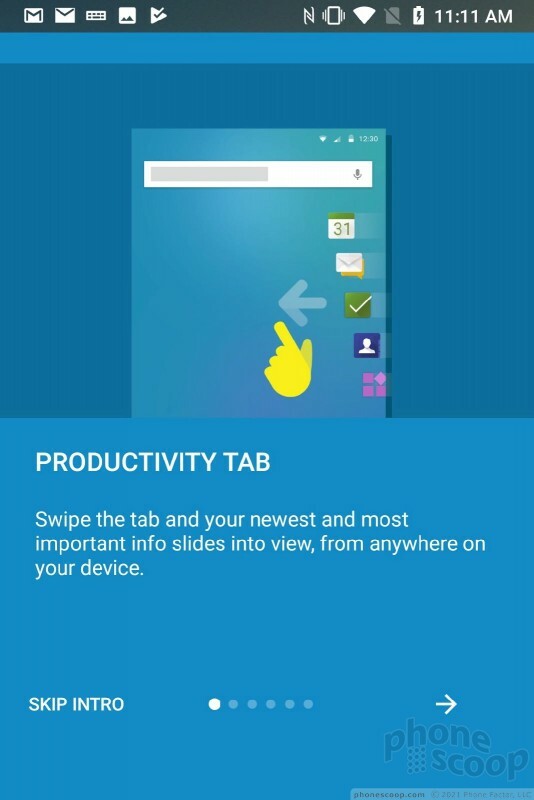 For example, the Productivity Tab behaves a lot like the Edge UX on Samsung smartphones. 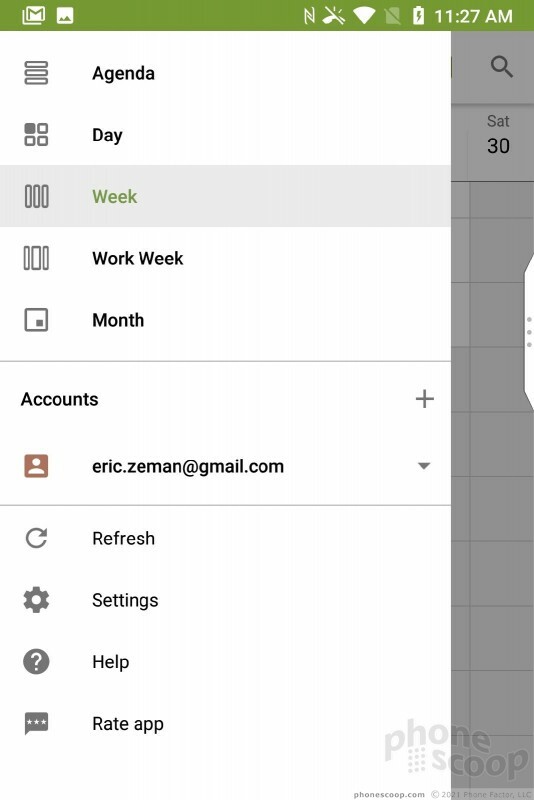 The Tab appears as a thin sliver along the edge of the screen, and is available from within most apps. You can set the Tab to appear on the left or right side, control how tall it is, and adjust the level of transparency. 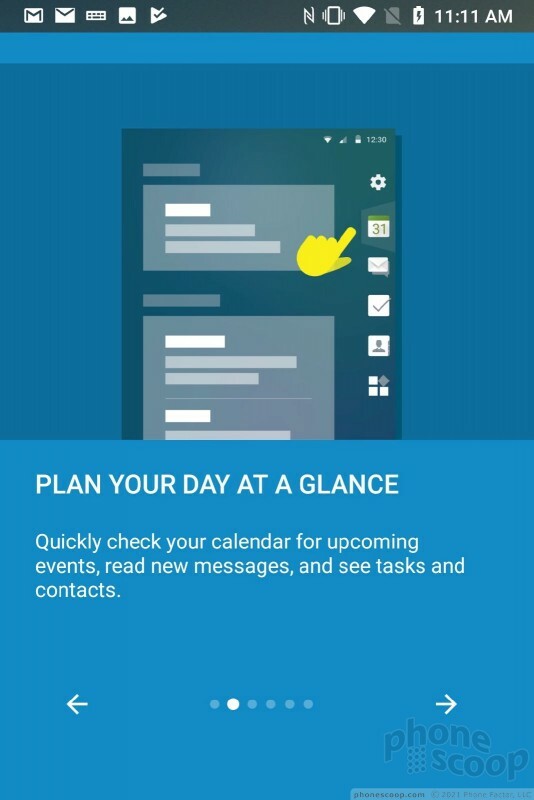 The Tab offers a quick productivity dashboard, including your schedule, messages, tasks, and favorite contacts. It's on by default, but it's simple to turn off. 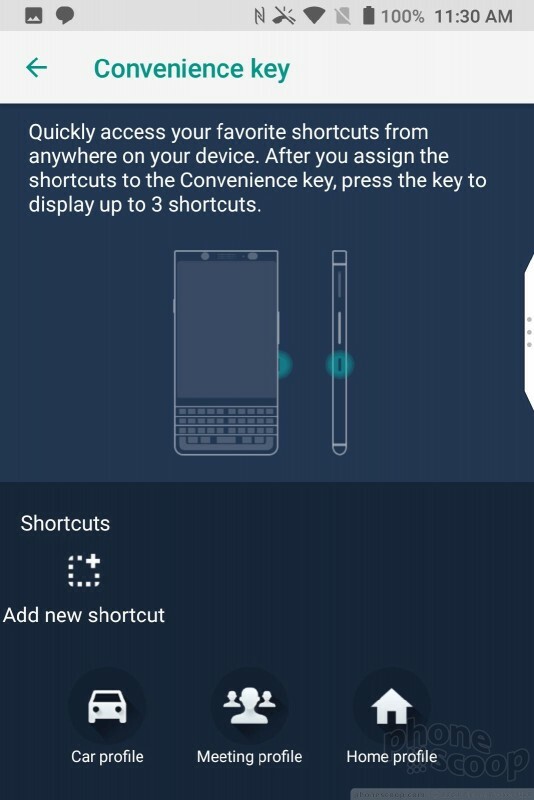 The KEY2 carries over BlackBerry's "hidden widgets". The idea is to protect sensitive information while still allowing people to see new widget content. Apps that support these widgets are signified with three small dots under the shortcut on the home screen. 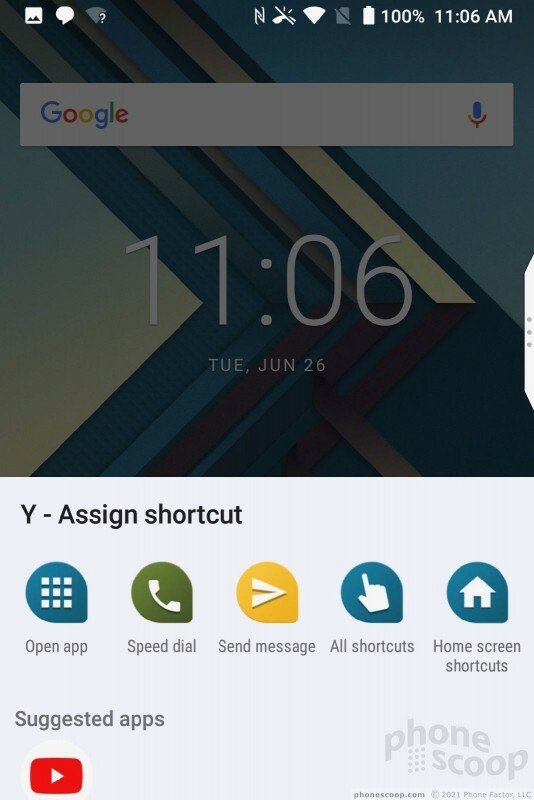 Swipe up on the shortcut, and the corresponding widget will open. 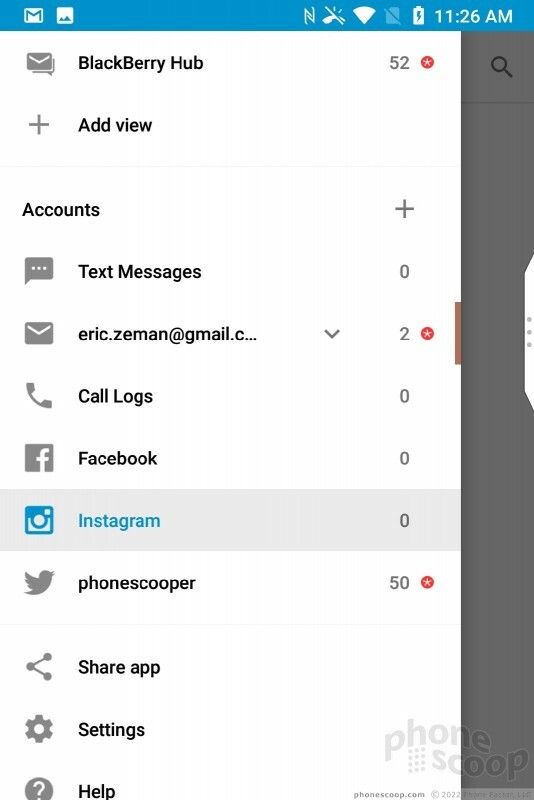 Of course, standard Android widgets are also available. 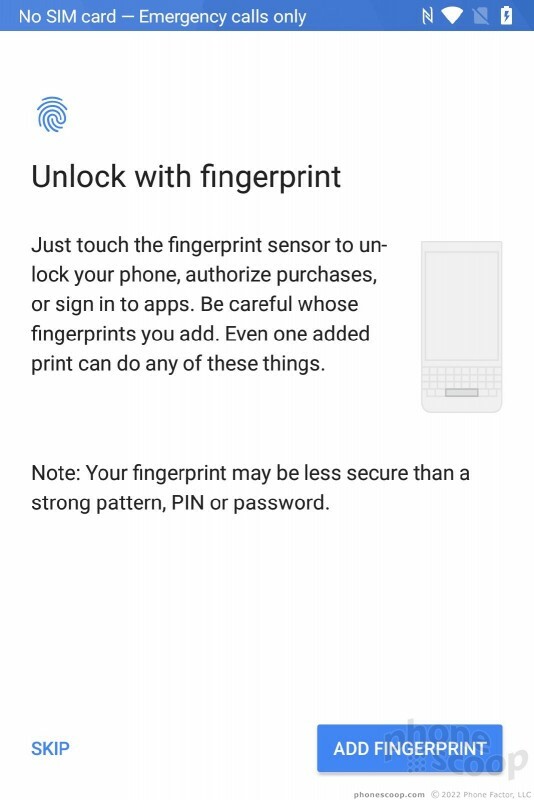 The hidden widgets play a bit on the probability that someone who gains unauthorized access to the KEY2 won't know how to use them. They also protect you from someone looking over your shoulder, etc. 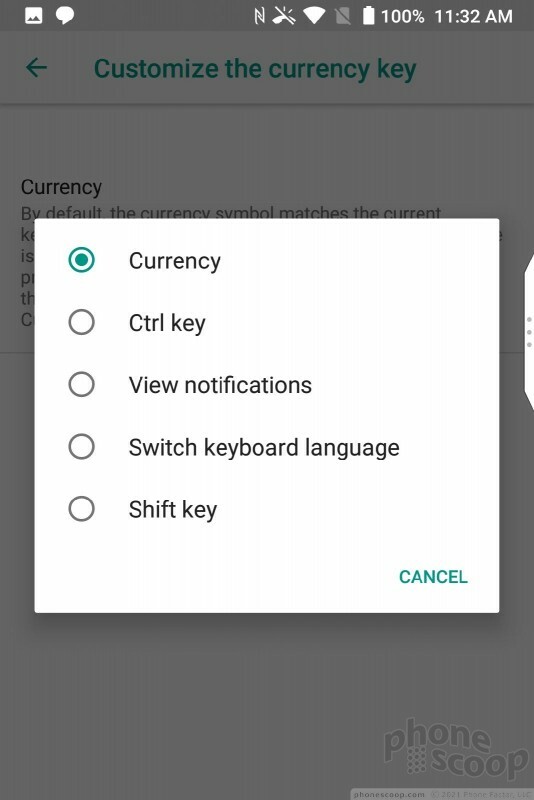 You can assign the "convenience key" on the side to perform custom actions. For example, you can elect to have the convenience key open a specific app, speed dial a contact, send a message, and so on. The interface for is a cinch to use. 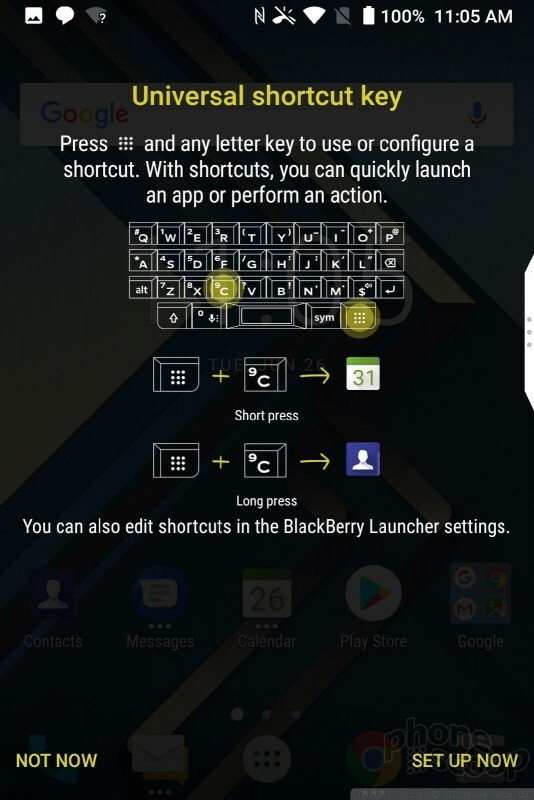 BlackBerry phones have long supported keyboard-based shortcuts, such as pressing "T" to get to the top of a message or thread. These shortcuts are often limited to certain apps. 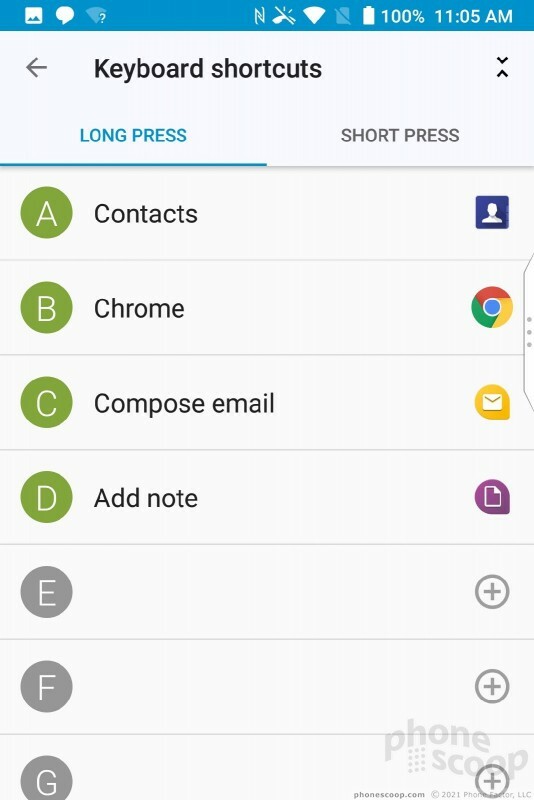 The KEY2 builds on this with the Speed Key, which lets you create and assign actions that are available from any app. These all kind of do double duty, but once you assign and learn your shortcuts you can can really do a lot of things quickly. Last, BlackBerry's multitasking function is really neat. 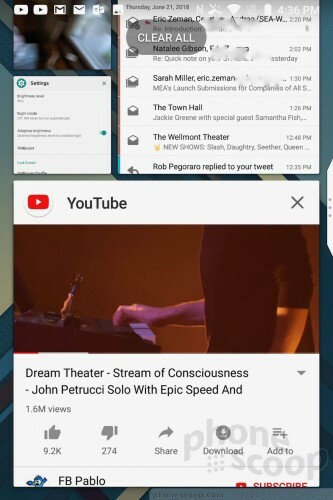 When you hit the multitasking button, the KEY2 minimizes all the app windows so you can see every open app all on the screen at once (kind of similar to macOS). 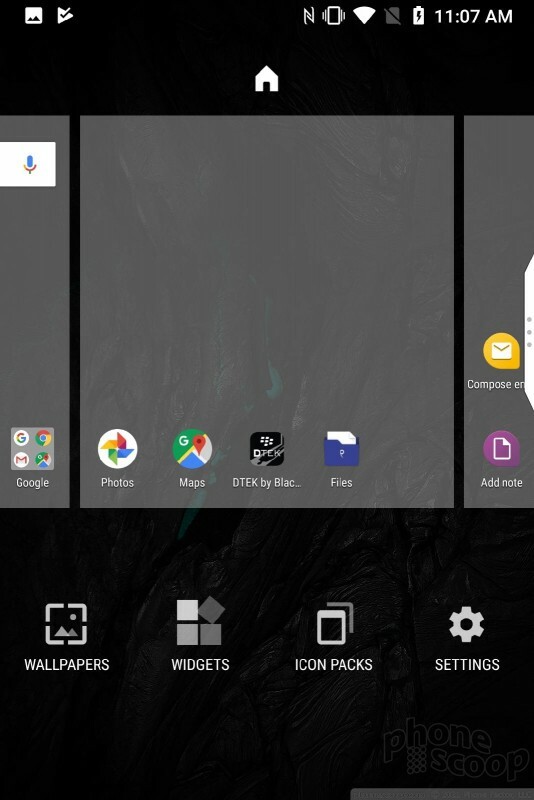 Other Android phones arrange open apps in an in a stack that hides most of each app. The KEY2's multitasking screen makes it easier to find and launch the app you want — as long as you don't have too many open. With a Snapdragon 660 and 6 GB of RAM under the hood, the KEY2 has plenty of power. TCL doubled the RAM when compared to last year's phone, and the octa-core power of the Snapdragon 660 delivers. The phone never felt slow or sluggish. 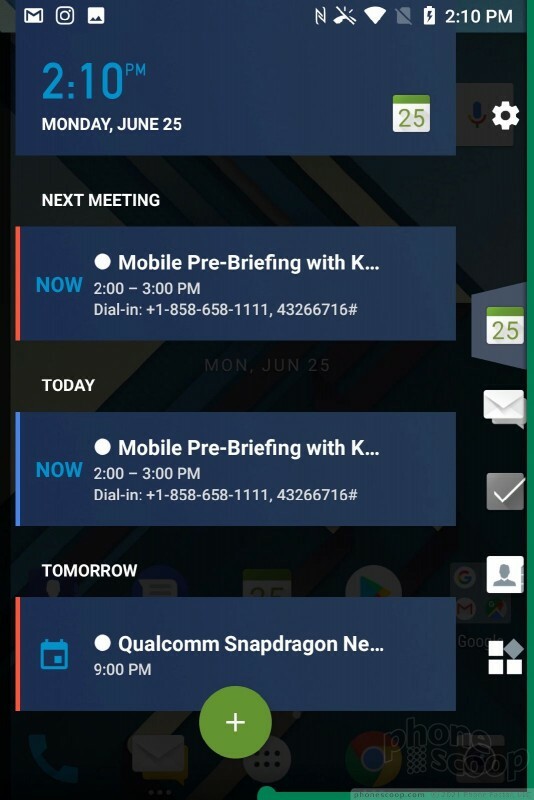 The KEY2 ports in BlackBerry's core productivity apps for those power users who want to make the most of their BlackBerry experience. 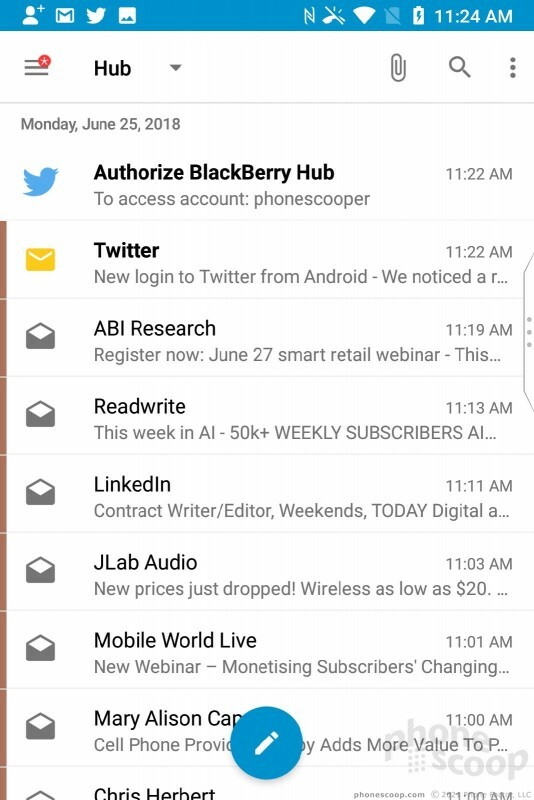 BlackBerry Hub serves as a master inbox for managing literally all of your communications. 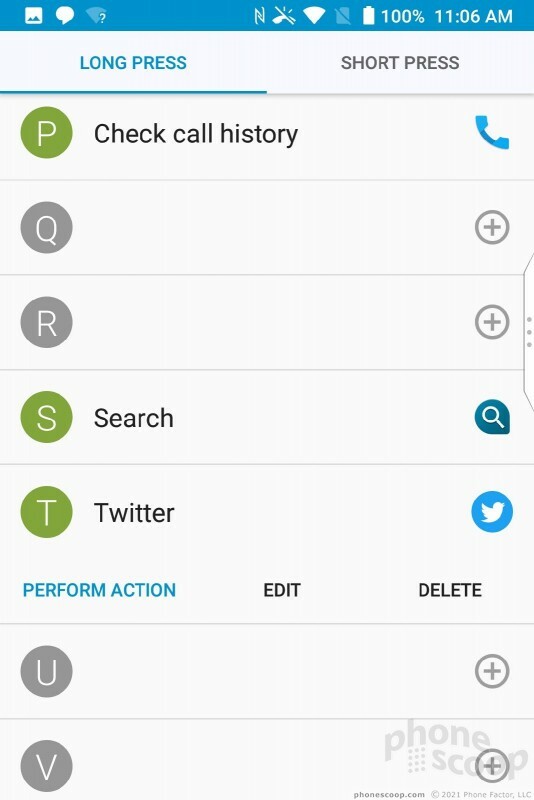 BlackBerry Hub lets users drill down into their call log, SMS inbox, BBM account, email, Facebook, Instagram, Twitter, and more. 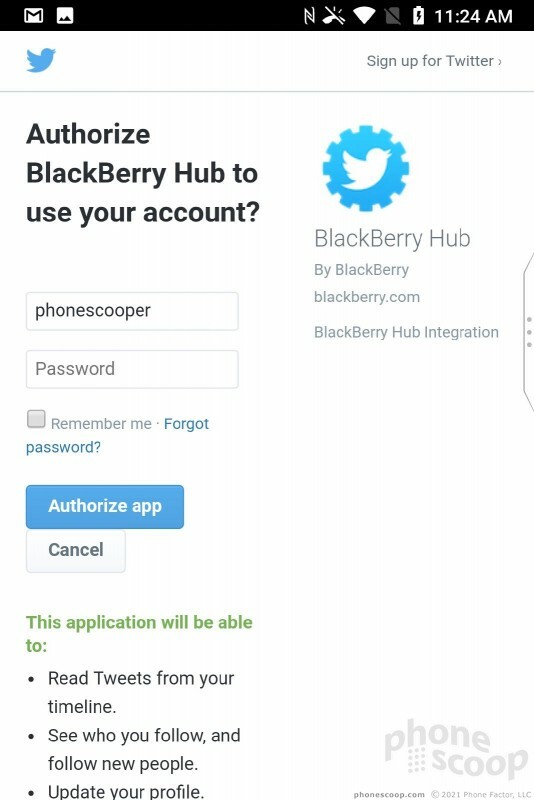 Seriously, the number of accounts and apps you can link to BlackBerry Hub is ridiculous. 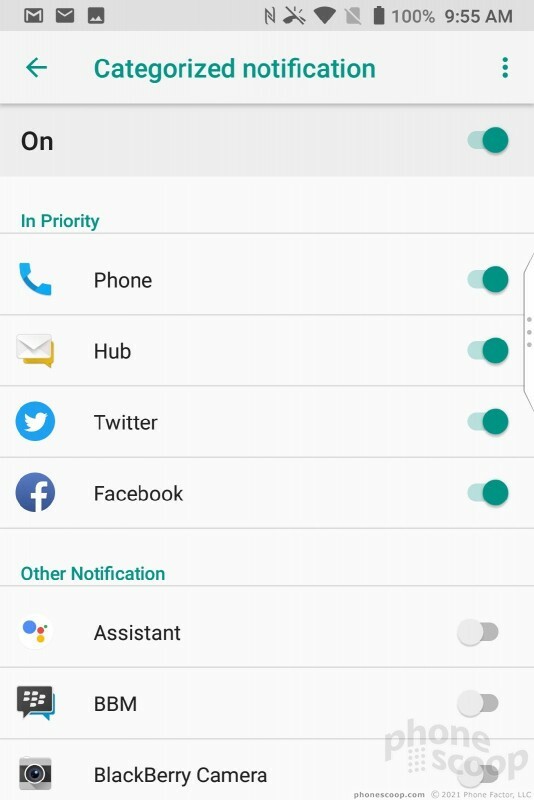 Hub lets you snooze notifications for individual accounts, as well as sort between unread, flagged, muted, and high-importance conversations. 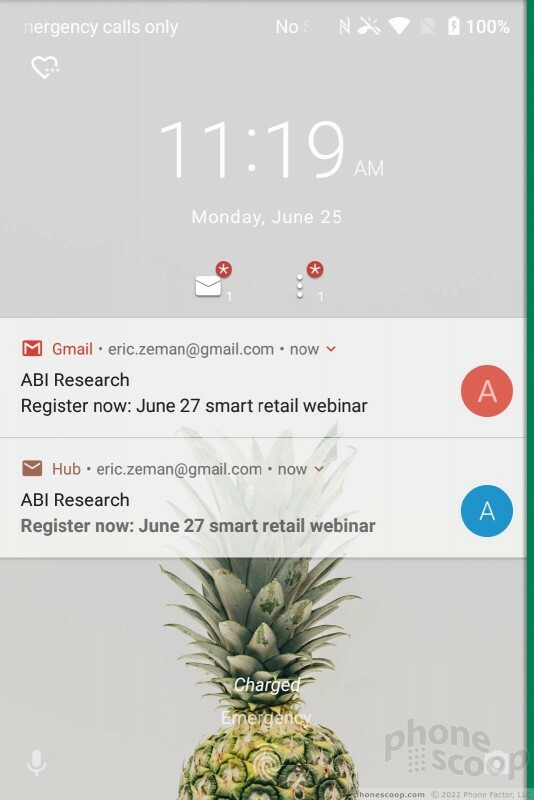 The Hub offers an extensive number of settings for creating custom alerts, as well as prioritizing inbound messages and fine-tuning the appearance of emails. I like that the Hub search tool can scan through every account at once. BlackBerry still has some work to do, as the Hub continues to duplicate notifications by default. 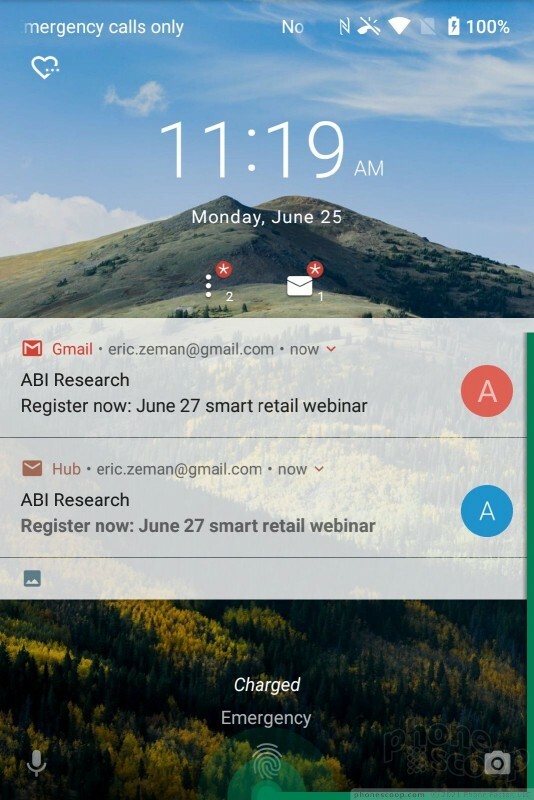 For example, if you receive a new email in your Gmail account you'll receive a notification from both Gmail and the Hub. The same applies to all your social media accounts. It takes time to tweak the various notification settings so you don't get hammered with duplicates. BBM, BlackBerry's legacy messaging service, is on board as well. The app continues to offer a feature-rich experience with tools such as read receipts, stickers, emoji, and voice/video calls. It's a great messaging service... as long as you have contacts still using BBM. On the security front, the KEY2 includes BlackBerry's DTEK app. 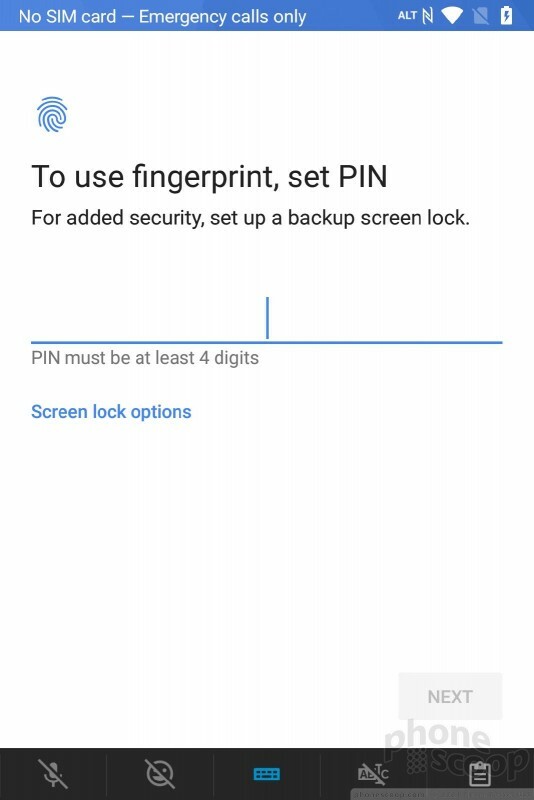 DTEK assesses the KEY2's security settings and lets you know if you need to take additional steps to secure the handset. 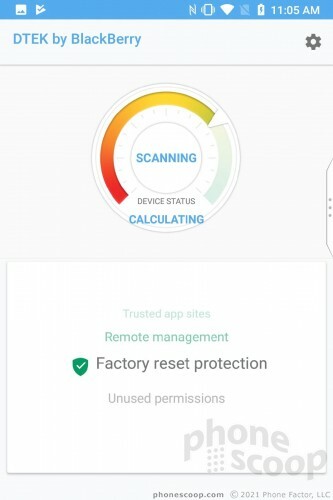 DTEK is probably most useful for people who aren't aware of their security settings. 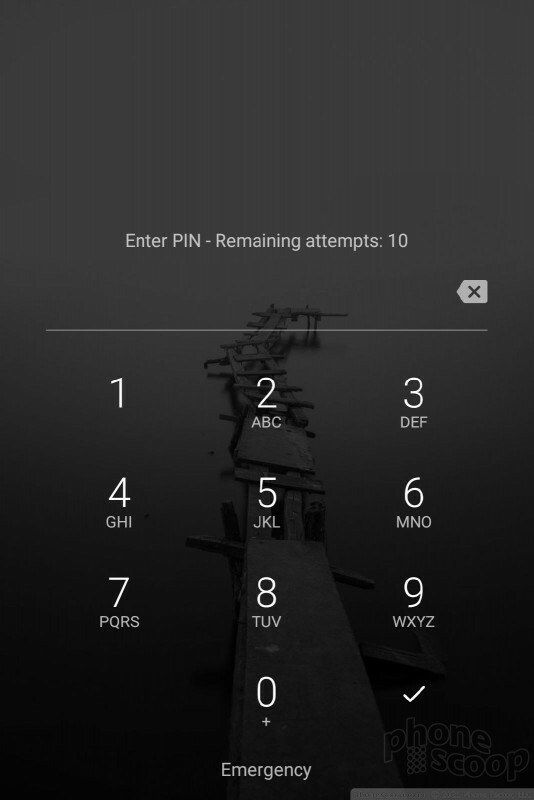 As long as you have a decently strong password protecting the phone, you've done enough. Companies that deploy the KEY2 will likely enforce security through Exchange device management, making DTEK on the KEY2 itself redundant. 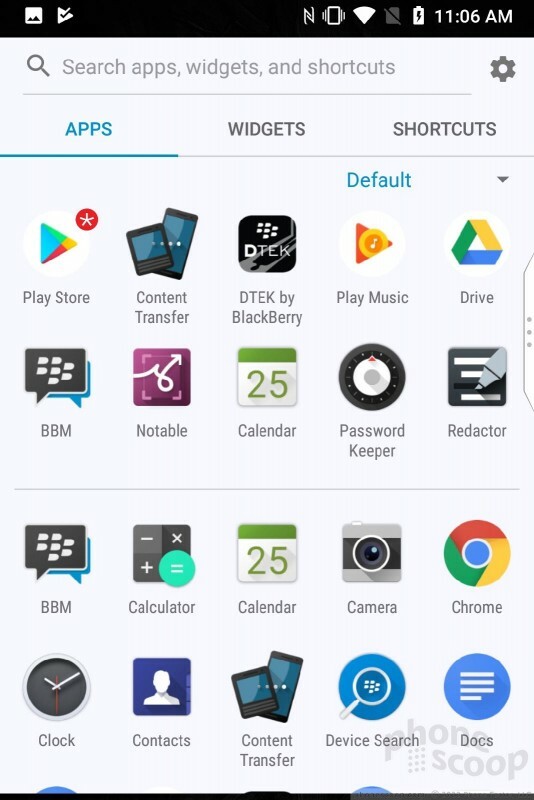 Hub and BBM are also available to non-BlackBerry phones. 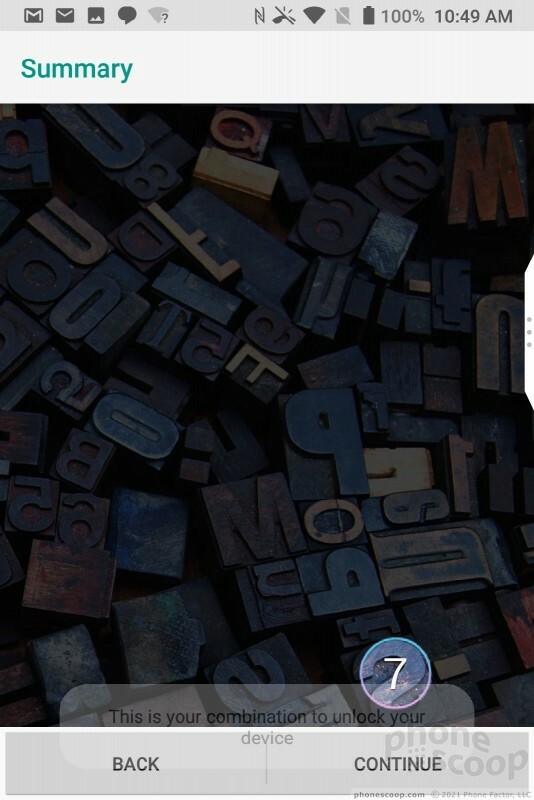 By default, a double-press of the lock screen button opens the camera. 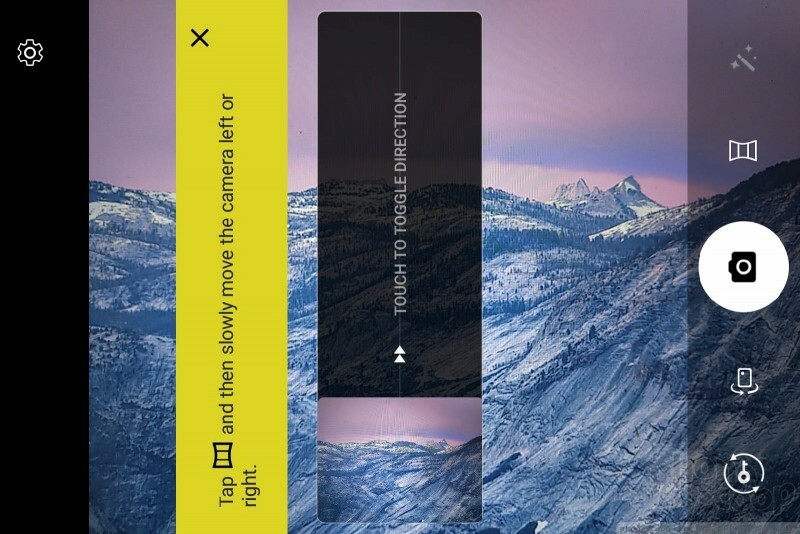 You can also assign just about any button combo to launch the camera app. The camera opens quickly enough. Basic settings line either side of the viewfinder. On the left you'll find controls for the flash and HDR — both of which have “auto” settings — as well as the timer, aspect ratio, and full settings. You'll get the full pixel count if you use the 4:3 aspect ratio; the 3:2 and 16:9 settings crop the the image, meaning fewer megapixels. 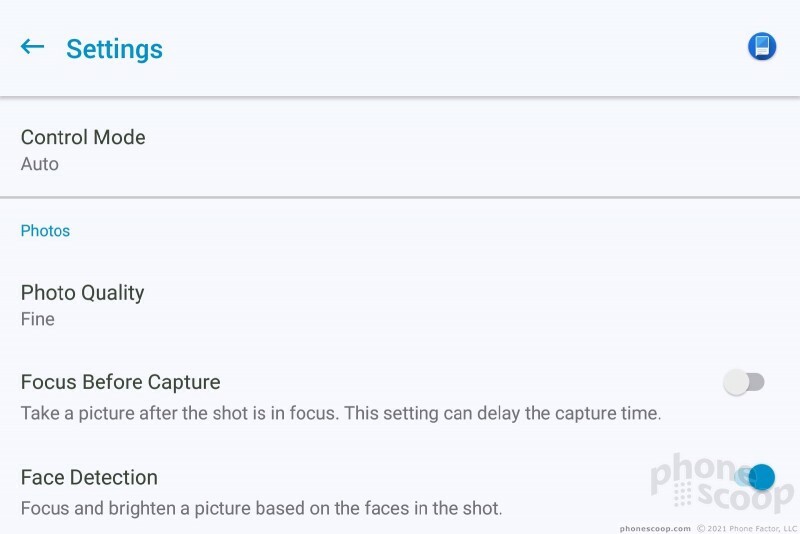 On the right, you can switch shooting modes (camera, panorama, video, slow-motion, scanner, and portrait) and apply filters. The scanner and portrait modes are new. 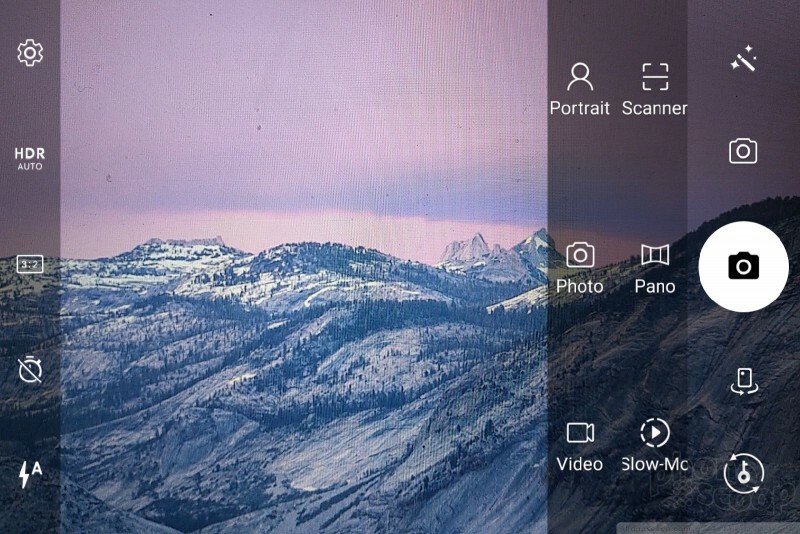 The scanner app is meant to help you create usable documents from image scans. It can be set to recognize one default language at a time. I had trouble using this tool with anything other than business cards. It can easily take pictures of a whole sheet of paper, but creating a usable document is hit or miss. The portrait mode puts the dual camera system to work to create photos with bokeh (blurred background). It will guide you through the process, such as telling you when you're too close or far from your subject. The KEY2's Snapdragon 660 is more than up to the task of running the camera smoothly. 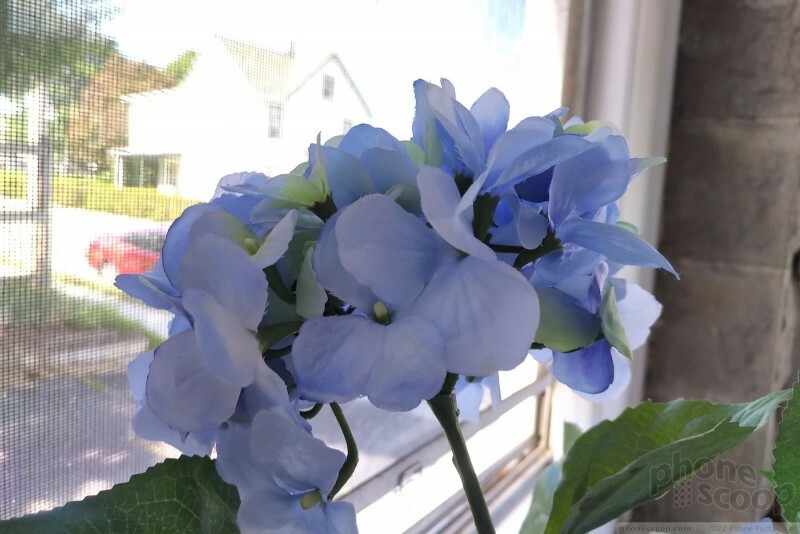 I didn't experience any performance issues while testing the camera app. TCL and BlackBerry opted for a dual camera setup on the KEY2. 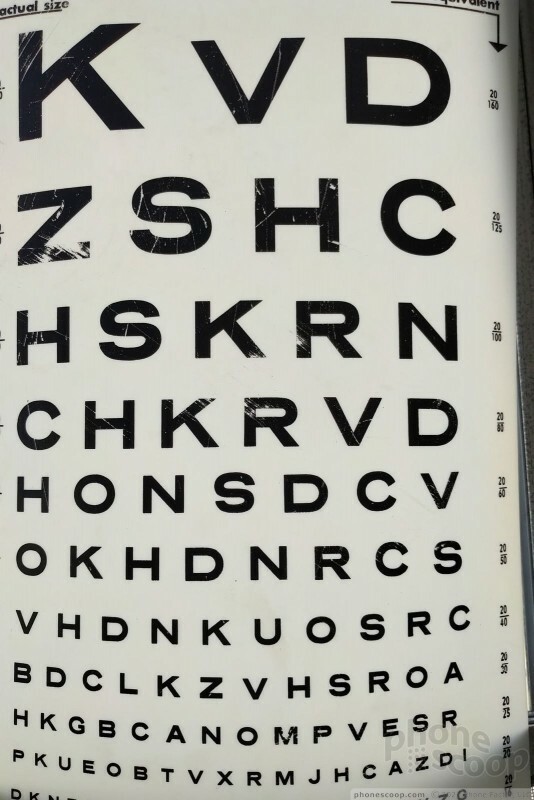 The phone has two 12-megapixel sensors on the back. The main sensor has an aperture of f/1.8 and a 79.3-degree field of view. It works well, but isn't without limitations. 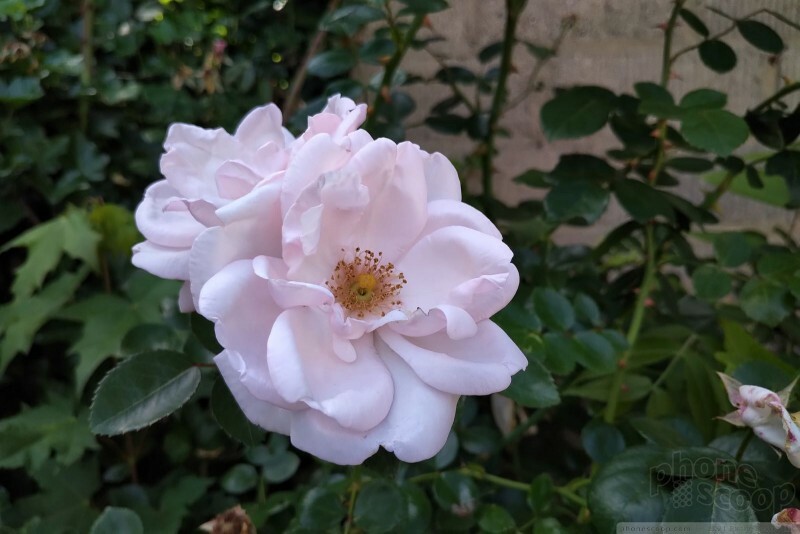 The pictures I captured with the KEY2 ranged in quality from below average to average. 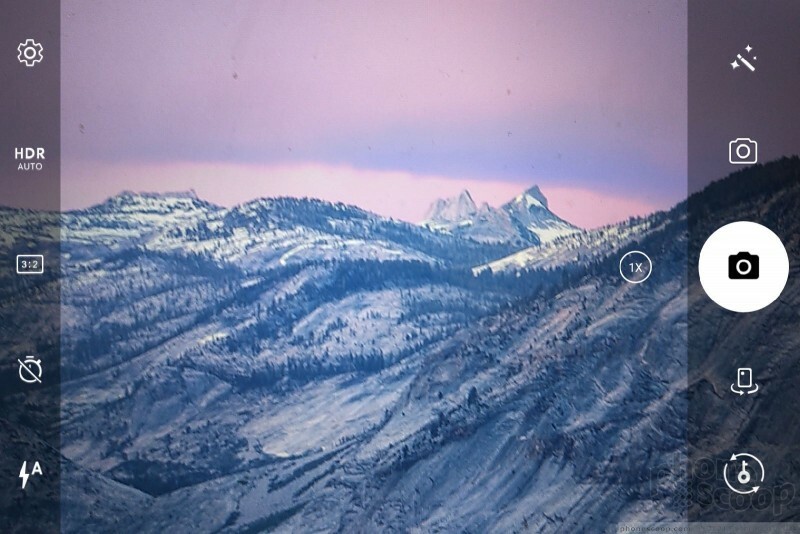 In general, pictures were in focus, had proper exposure, and good color. Too often, however, the camera freaked out and totally messed up the exposure. 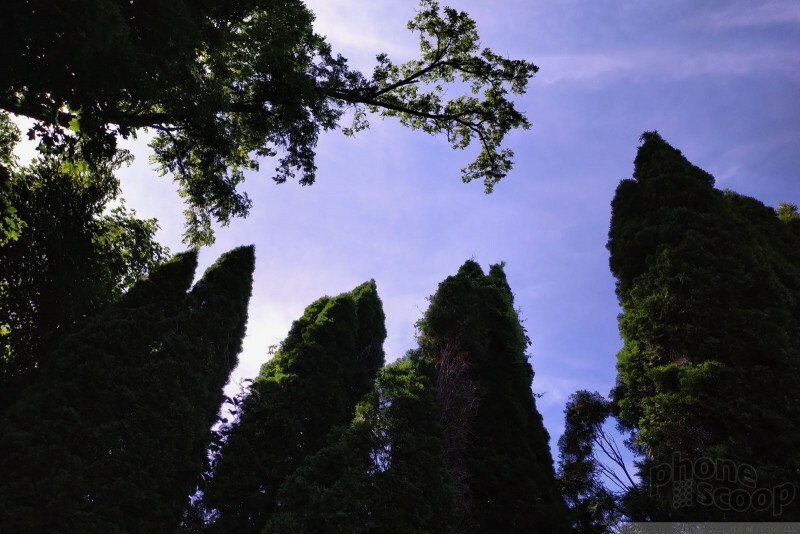 You can see how underexposed and grainy the trees are below; worse, the HDR function — which was set to "auto" — didn't help at all. The baseball shot is also really underexposed. 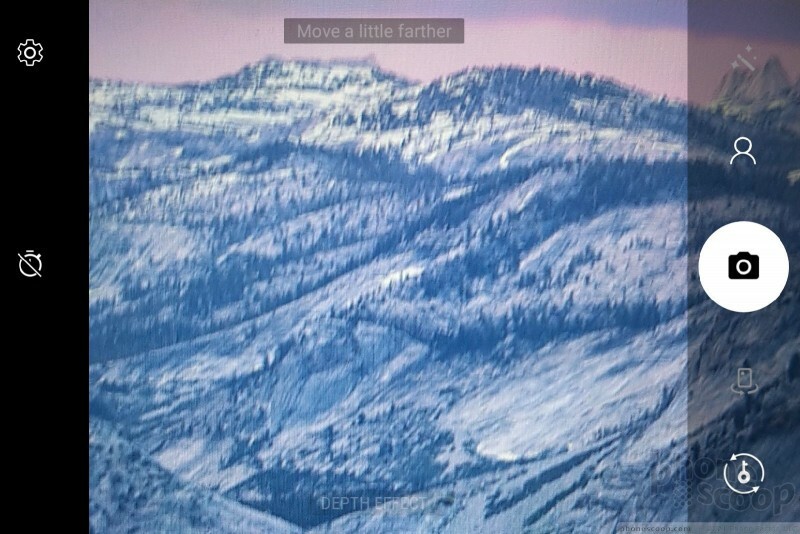 At least focus is sharp. The camera performed its best when the lighting was even. High-contrast environments gave it trouble. The user-facing camera snags 8-megapixel images and does a decent job. 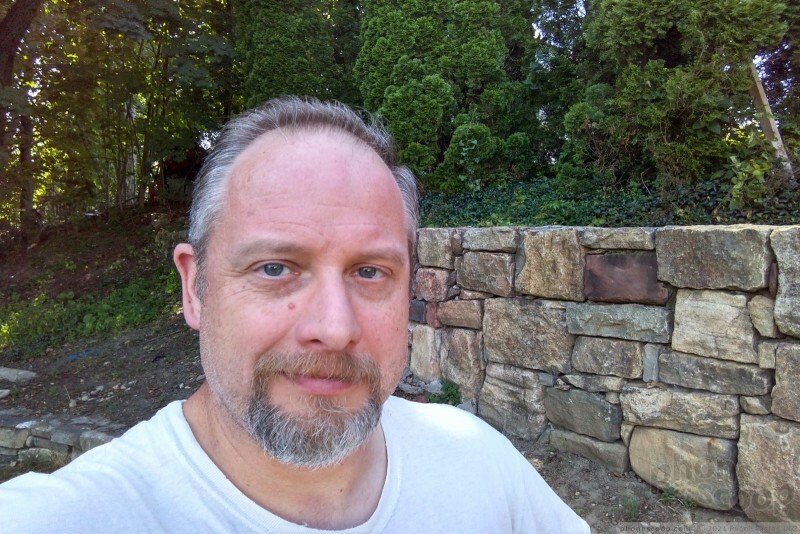 Most selfies I captured showed proper focus, white balance, and exposure. I was disappointed by the amount of grain in low-light shots. The KEY2 can shoot video at max resolution of 4K and allows people to choose from a variety of frame rates. 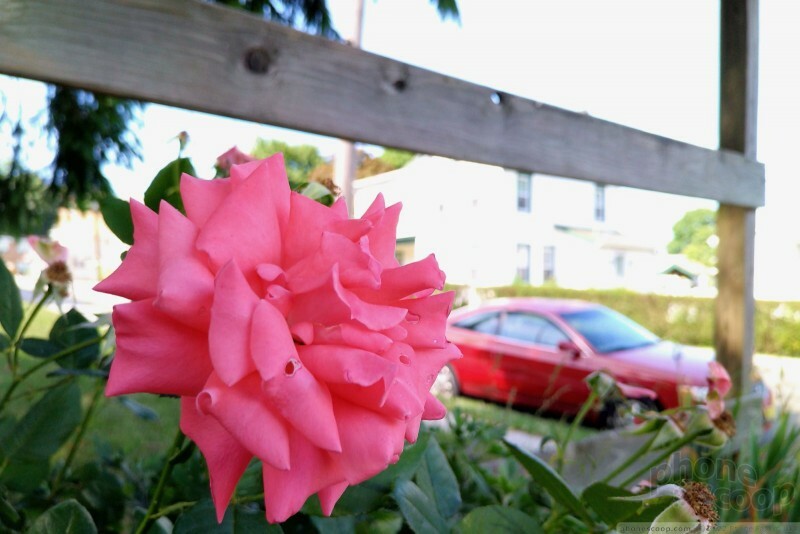 I was generally pleased with the results, which showed good focus, color, and exposure. The KEY2 produces fine video. I'd say people who are casual picture takers will be satisfied with the KEY2 for everyday photo and video needs, but it's not up to par with today's leading devices. For a phone at this price point, it should do better.